Complete the look of your Gladiator Wall System with this 6-pack of Gladiator GearWall Panel Trim. This piece will offer a clean, completed look, especially around outlets and light switches and will give your GearWall panel the professional, detailed flair you'll love. They are designed to handle extremes in heat, cold and humidity. Features a durable, flexible plastic construction for strength. Storage and organization are easy with the Gladiator GearTrack and GearWall Accessory Starter Kit 2. Perfect for organizing a garage, basement or other cluttered area, this kit comes with an assortment of hooks and small-item bins, offering plenty of options for off-the-ground storage. Designed for use with Gladiator GearTrack channels and GearWall panels, the hooks and basket can be hung easily and repositioned as often as needed. 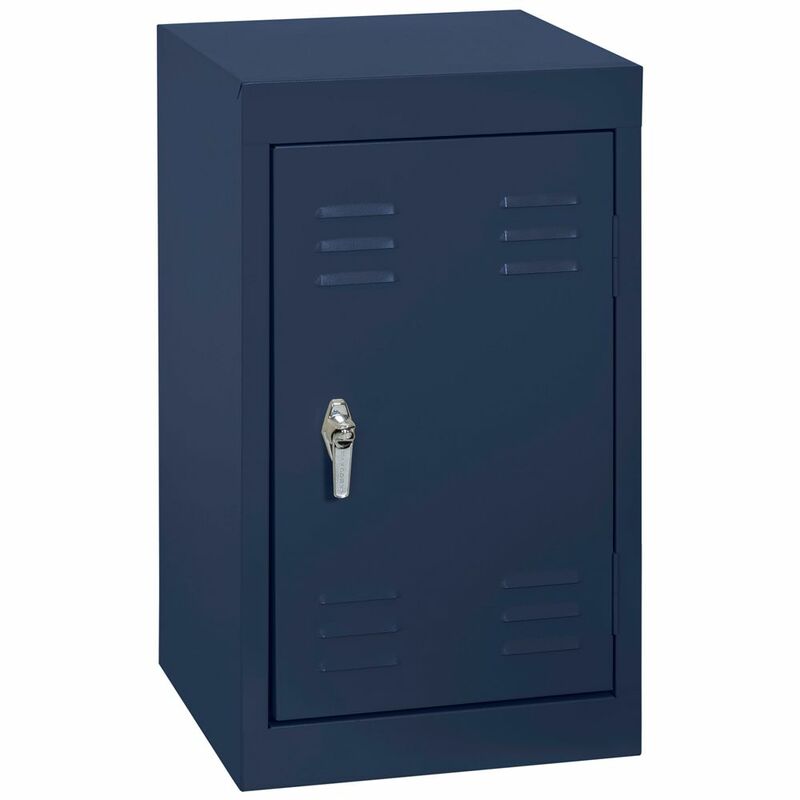 15 Inch L x 15 Inch D x 24 Inch H Single Tier Welded Steel Locker in Navy Blue These designer steel lockers are built to last and feature cool colours that kids and teens will love. Great for storing school supplies, books, back packs, clothes, shoes and much more. All lockers are Greenguard Certified.